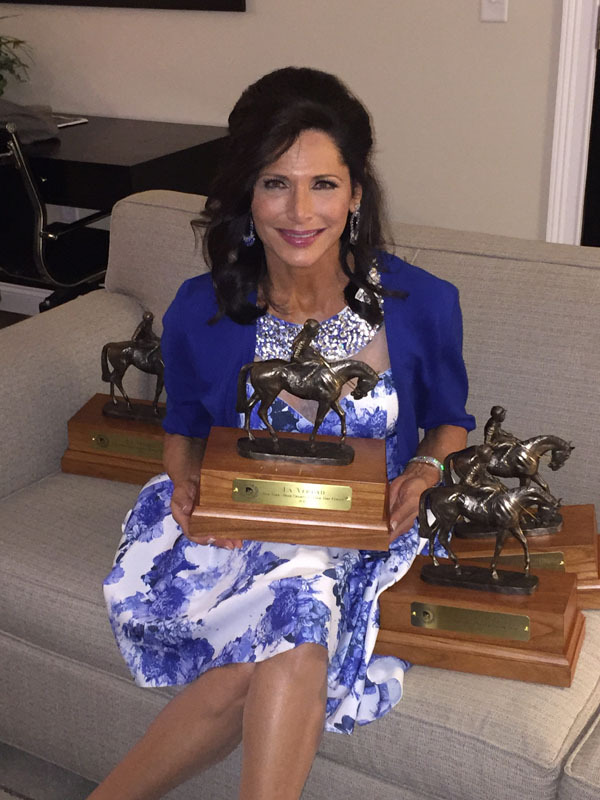 Congratulations to our former Cover Lady Sheila Rosenblum for your 3 awards at the 2016 New York – Bred Divisional Champions at the New York Thoroughbred Breeders Annual Awards Banquet. 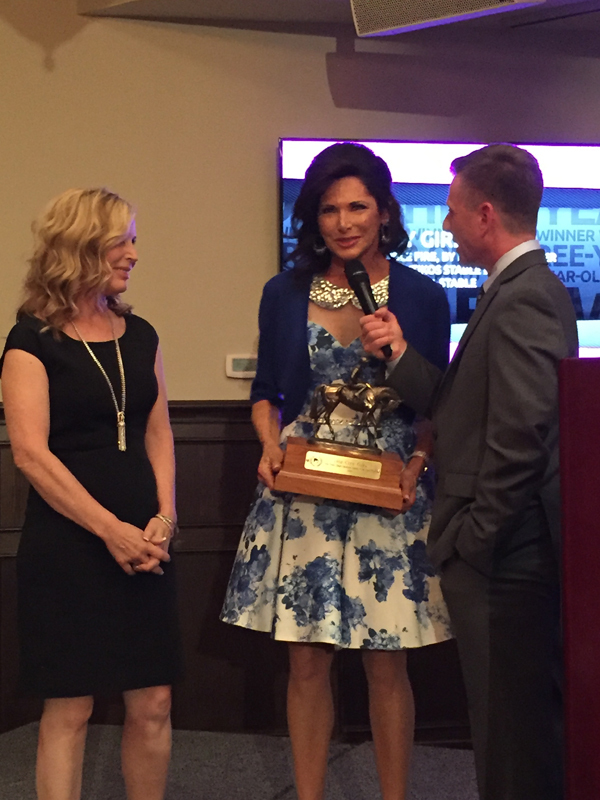 Also winning an award for best trainer is Linda Rice who is the trainer for Shelia’s horses. 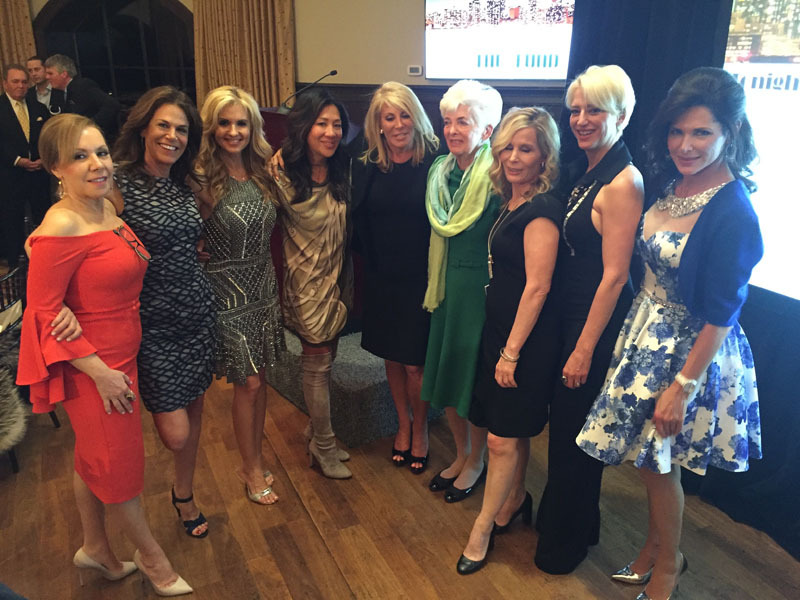 Guests included: Associate Publisher Melissa Kassis, Editor and Chief Hillary Latos, Breeder and Owner of Edition Farm Vivian Malloy, Douglas Elliman’s Dottie Herman, and Dorinda Medley of the New York Housewives to name a few. ABOUT NEW YORK THOROUGHBRED BREEDERS INC.
New York Thoroughbred Breeders, Inc. (NYTB) is a membership organization founded in 1974.NYTB was formed in order to provide those individuals involved in the New York breeding and racing industry with an organization dedicated to the advancement of Thoroughbred breeding and racing in New York State. The Logo of NYTB is a certified trademark with the State of New York Department of State #R-27681. NYTB is organized as a not for profit corporation under Internal Revenue Code Section 501C-5. NYTB is the official authorized representative of the Thoroughbred breeding industry in New York State; the unified voice of Thoroughbred breeders in the State of New York for purposes of communicating the advantages and rewards of breeding Thoroughbreds in the State and for the purposes of conducting and coordinating activities with breeding and racing associations and agencies. 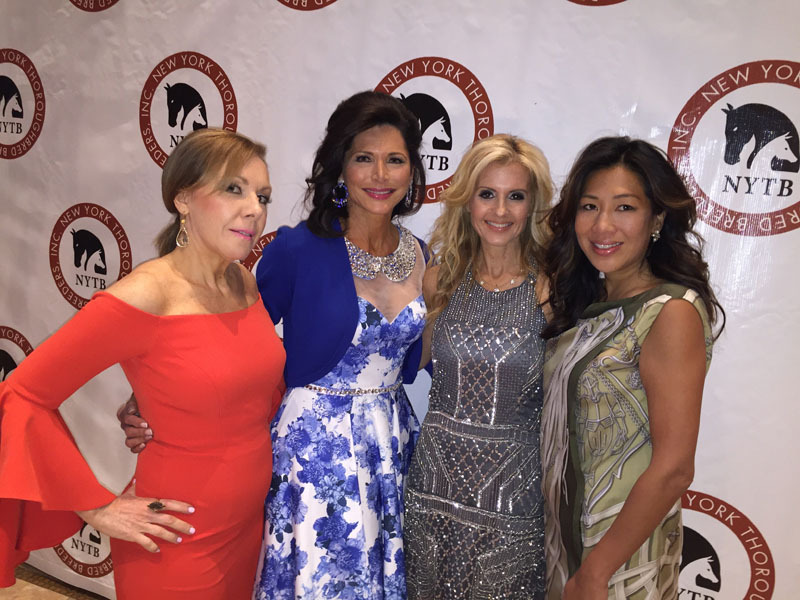 Additionally, NYTB lends its support to activities which aid in the development of the breeding and racing industries in New York State in particular, and the nation in general. Sheila Rosenblum began her exciting journey into horse racing in 2009. Owning and managing nearly 30 Thoroughbreds through her Lady Sheila Stable, its sister syndicates, and other partnerships, Rosenblum’s passion and focus has been getting women more involved in the sport. In 2013, Rosenblum partnered with celebrated trainer Linda Rice, the leading female trainer in North America. 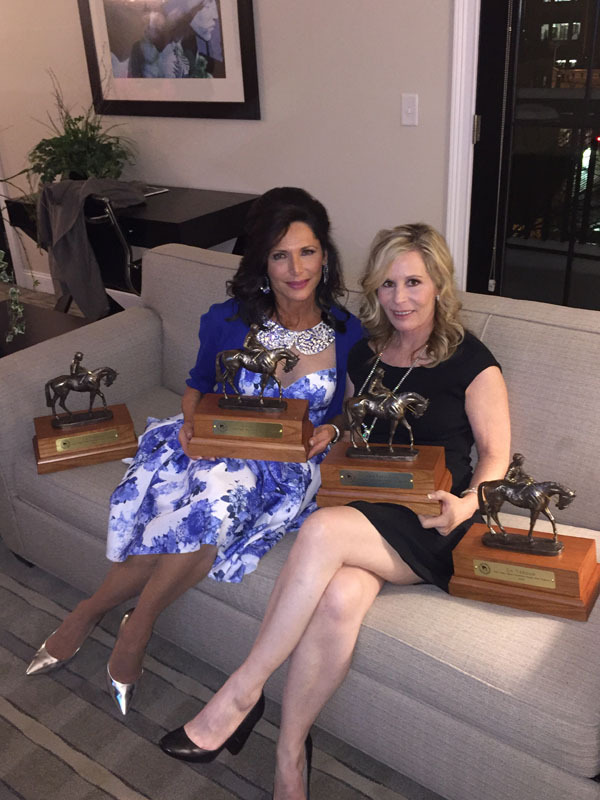 In Rice’s hands, the Lady Sheila Stable’s horses have gone on to earn over $3.5 million in purses since 2011, making Rosenblum and Rice a formidable pair on the racetrack. Through the all-female syndications Lady Sheila Stable Two and Triumphant Trio, in addition to the original Lady Sheila Stable, Rosenblum has enjoyed tremendous success in the last year with horses like Matt King Coal (Cool Coal Man), Hot City Girl (City Zip), Championofthenile (Pioneerof the Nile) and Startwithsilver (Jump Start), who all continue to show great potential. The horse that really put Rosenblum on the map, however, is La Verdad (Yes It’s True), who she purchased privately along with her yearling half-sister Hot City Girl. La Verdad had very impressive campaigns in both 2014 and 2015, wracking up 10 black-type victories during that two-year period, including the GII Distaff H. at Aqueduct, and the GII Gallant Bloom S. and GIII Vagrancy S. at Belmont Park. The bay finished a game second in the 2015 GI Breeders’ Cup Filly & Mare Sprint going seven furlongs at Keeneland just one week after winning the Iroquois S. back home at Belmont. In all, La Verdad earned just over $1.5 million, winning 16 of 25 starts, virtually dominating the female sprint division in New York and ultimately winning the 2015 Eclipse Award for champion female sprinter. Considered the “Star of Lady Sheila Stable,” she was retired to Edition Farm in 2016 as a broodmare and is currently carrying a filly by Medaglia d’Oro. Following La Verdad’s huge success, Rosenblum entered into new partnerships with Zayat Stables, Vivien Malloy’s Edition Farm, and also formed Lady Sheila Stable Three. In August of 2016, she started her newest syndicate Triumphant Four after purchasing three New York-bred yearling colts at the Fasig-Tipton New York-Bred Sale at Saratoga. A true lover of horses, Rosenblum is also a fierce advocate for long, happy and comfortable post-racing careers for her Thoroughbreds, resulting in a budding partnership with New Vocations. The TOBA board member has already donated Redheaded Rita, Hotinthehamptons and Hot Like Hepburn to New Vocations. Their aftercare efforts have ensured that Lady Sheila Stable’s horses will enjoy the same love, care and attention beyond the track as they did during their racing careers. Prior to her horse racing venture, Rosenblum, an alumna of the Royal Ballet School in London and the School of American Ballet in New York, graced the stage in ballet slippers before strutting down runways and posing in studios as a sought-after model for renowned agencies Ford and Wilhelmina. She has two children, Kara and Erik Rosenblum. For over 10 years, Rosenblum has been an advocate for children’s rights and serves on the board of The March of Dimes.